I welcome Rosebery’s Auctions of London to this column for the first time, as I have dipped into their summer antiques sale for a little item which I cannot recall seeing previously. This is an English brass and copper combination locking tobacco box, dating to the first half of the 18th century – so around 300 years old. 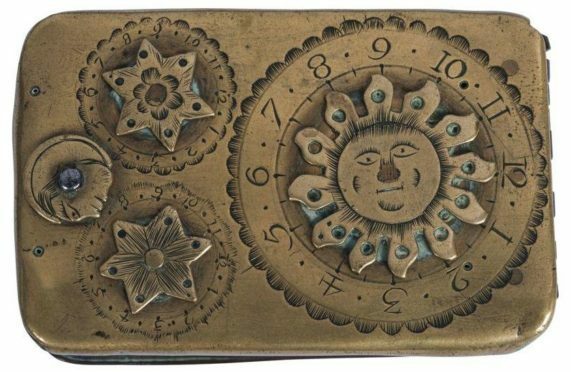 Delightfully inventive, the dials are cast as the sun, moon and two stars, with the box inscribed ‘This is my Fancy You must take as a Joke, If a Fine Tobacco I Ask you to Smoke, If you the Sun, Moon & Stars Can Place, You This Box May Op’n with Ease’. The box is also engraved with the owner’s name ‘J Allen’. 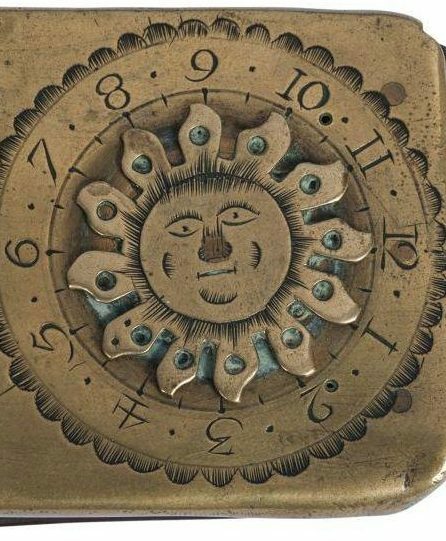 The celestial dials had to be turned to the correct positions, with the inside of the lid accommodating the mechanism which clicked into place to open the box when the combination was entered. Lovely! As with the introduction of commodities such as salt and tea, tobacco was very expensive when it was initially imported – hence the lockable box. He then slapped an import tax on it – in Trump style of these days! The 18th Century tobacco box (detail). The box was once part of the Wing Commander Arthur Golding Barrett (1904-1976) collection. Known to everyone as ‘GB’, Mr Barrett was a well-known figure in the antiques trade who built up an impressive collection of 17th century furniture and objects. Rare, and ticking a ‘combination’ of collectable ‘boxes’, it sold for a multi-estimate £2,300.